Dr. Sztein is Professor of Pediatrics, Medicine and Microbiology and Immunology at the University of Maryland. In addition, Dr. Sztein is Associate Director for Immunologic Research, Leader of the Immunology Group and Chief of the Cellular Immunology Section and Flow Cytometry Core Laboratory at the prestigious Center for Vaccine Development. 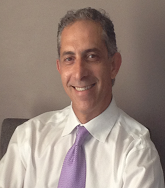 Dr. Sztein is an accomplished investigator in the area of immunology of infectious diseases. He has published 200 papers in peer-reviewed journals and written 35 invited chapters. Anna Hirsch read Natural Sciences with a focus on Chemistry at the University of Cambridge and spent her third year at the Massachusetts Institute of Technology, doing a research project with Prof. Timothy Jamison on the total synthesis of amphidinolide T1.For her Master’s project, she returned to Cambridge to develop the double conjugate addition of dithiols to propargylic carbonyl systems reaction in the group of Prof. Steven V. Ley.She received her Ph.D. from the ETH Zurich in 2008. Her research was carried out in the group of Prof. François Diederich and consisted of de novo structure-based design and the synthesis of the first inhibitors for an enzyme as a novel approach to treat malaria.Subsequently, she joined the group of Prof. Jean-Marie Lehn at the Institut de Science et d’Ingénierie Supramoléculaires (ISIS) in Strasbourg, before taking up a position as assistant professor at the Stratingh Institute for Chemistry at the University of Groningen in 2010. In 2015, she was promoted to associate professor of structure-based drug design. In 2017, she moved to the Helmholtz Institute for Pharmaceutical Research Saarland (HIPS), where she heads the department for drug design and optimization. Her work focuses on rational approaches to drug design (with a strong focus on anti-infective targets), including structure- and fragment-based drug design in combination with dynamic combinatorial chemistry and kinetic target-guided synthesis. Anna Hirsch was awarded the Gratama Science Prize in 2014, the SCT-Servier Prize for Medicinal Chemistry in 2015 and the Innovation Prize for Medicinal Chemistry of the GdCh/DPhG in 2017. 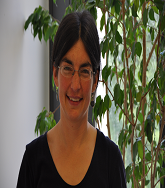 Armelle Phalipon is group leader in the Molecular Microbial Pathogenesis Unit, Institut Pasteur, Paris, France. 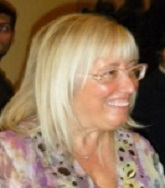 With about 25 years of experience working on Shigella, she has deciphered the targets and effectors of the humoral response to infection, discovered two novel molecular mechanisms of secretory IgA-mediated protection at mucosal surfaces, and highlighted the Shigella-mediated targeting mechanisms, and their functional consequences, on human B and T lymphocytes. In addition, in collaboration with Dr. Laurence Mulard (Institut Pasteur), she has developed a Shigella subunit vaccine candidate which is presented here. Armelle Phalipon has co-created the International Vaccinology Course launched at the Pasteur Institute in 2008, and is Co-Director since then. Dr. Phalipon was also a member of the WHO Steering Committee for Diarrheoal Diseases (2007-2009). Dr. Nassiri is a former Associate Dean of Global Health at the Michigan State University (MSU). He also served as MSU director of Institute of International Health. 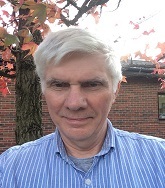 He is currently Professor of Pharmacology and Toxicology, Professor of Family and Community Medicine, and, lecturer in Global Health, Infectious Diseases and Tropical Medicine. He currently works on international public health issues and has expertise in global health. He has made contributions in various fields of medical sciences including clinical investigation and health education. On the basis of his extensive experience and expertise in HIV/AIDS, TB and antimicrobial resistance, he developed clinical research programs in Brazil, South Africa, Haiti, Dominican Republic and Mexico. He had served as editorial board member for the journal of HIV and AIDS Review. He is currently on editorial board member for AIDS Patient Care and STDs. Prof. Nassiri has delivered seminar presentations on Tropical Medicine, HIV/AIDS, TB, Global Health and public health interventions in numerous national and international conferences and workshops. He is internationally recognized for his work in the areas of building effective international partnerships particularly in global health, community health, clinical care capacity building, and technical assistance mechanism. He is the founder of Michigan State University Osteopathic and Primary Health Clinic in Merida, Yucatan, Mexico. He has developed academic and research partnership programs with Federal University of Para Institute of Tropical Medicine in Belem, Brazil. He currently works on international public health issues and has expertise in global health. He has made contributions in various fields of medical sciences including clinical investigation and health education. Professional experience: 1989 employed at Veterinary Faculty Ljubljana, Institute of Microbiology and Parasitology; 2004 Assist. Prof. in the field of microbiology and epizootiology; 2009 Senior Research Fellow in the field of microbiology and immunology; 2014 Research Counsellor in the field of microbiology and immunology; 2016 DipECVM (European Veterinary Specialist in Veterinary Microbiology).Mentor for five and co-mentor for three completed PhD dissertations. He has published more than 90 original scientific papers. 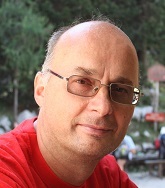 He is a member of the editorial board and a reviewer for several international scientific journals and a member of the European Society of Mycobacteriology (chairman of the 31st ESM congress), International Association for Paratuberculosis, International Society for Infectious Diseases and Slovenian Microbiological Society (past president). A board member of the European College of Veterinary Microbiology. He is engaged in development and implementation of the methods for diagnostics of zoonoses. He is also a leader of several scientific projects and a principal investigator one of the main research groups at the Veterinary Faculty. 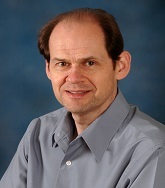 Richard Dybowski is a senior research scientist at Cambridge University. He have been involved with the application of artificial intelligence to medicine for over 20 years. This includes the use of deep learning for automatic image analysis and the use of Bayesian networks for optimizing clinical decision-making, including those cases associated with infectious diseases. His research interests lie within the areas of stochastic models of biomedical phenomena, machine learning (particularly deep learning), and normative clinical reasoning. Carbazoles, Metalocines, Pyrazoles, suzuki reaction, Design, Synthesis and biological studies and understanding of the mechanisms of action of new therapeutic molecules for: cancer, neurodegenerative diseases, antimicrobial agents. The area of my expertise is molecular biophysics. My training in this area has been used in the past 15 years to study various aspects of bacterial physiology and their interactions with their environments. Several research programs were carried out in relation to interaction of bacteria with their environments in both pathogenic and non-pathogenic bacteria. In non-pathogenic bacteria, I used bioinformatics techniques to address certain questions on the process of protein secretion in bacteria. Specifically, how the structural features of signal sequences direct the membrane translocation of signal sequence-containing secretory proteins. I currently have a graduate student looking at the involvement of the mRNA of such secretory proteins in targeting the protein to the membrane for translocation and secretion. In terms of other aspects of bacterial protein secretion (relevant to pathogenesis), I'm interested in the secretion mechanisms and characterization of bacterial extracellular polypeptides. My group is involved in several projects at the present time to include work with RNA-binding proteins and their role in protein secretion, physiological and immunological comparative studies of Streptomyces and Mycobacteria, and the cloning and characterization of a number of virulence factors of mycobacteria, mycoplasma and streptomyces. 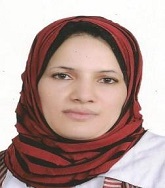 Abeer Mostafa Abdalhamed is working as an Assistant Professor of Microbiology at Clinical laboratory Sciences at College of Applied Medical Sciences Shaqra University. She is an Editorial board Member of Donnish Journal of Biomedical Research (DJBR), Member of Journal of Immunology and Cellular Microbiology. My research focuses on the Molecular Typing and Epidemiological Studies of Microbial Diseases of Human and Animal Origin with Special Interest of Molecular Bacteriology and Open Journal of Medical Microbiology. 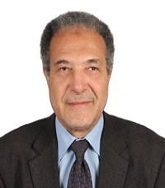 Ahmed Hegazi is currently a Professor of Microbiology and Immunology in the National Research Center, Egypt. Prof. Hegazi received his master’s degree in 1979, and his PhD in 1981. He has published 211 scientific papers and articles in national and international journals. He also served on the board of multiple national and international scientific journals. Dr. Hegazi is also the president of the Egyptian Environmental Society for Uses and Production of Bee Products, secretary of the Egyptian Society of Apitherapy, secretary general of the African Federation of Apiculture Associations, and a member of the International Apitherapy Commission (APIMONDIA). Dr. Hegazi awards; First Class Decoration of Excellence, Egypt, 1995, The Senior Scientist Prize of National Research Center, Cairo, Egypt, 1996, The National Scientific Prize In Biological Sciences, Egypt, 1990, The Scientific Prize of The National Research Center, Cairo, Egypt, 1989, The Second Best Research Paper Award, International Congress of Propolis, Bones Aires, Argentina, 2000, Main Speaker Award,10th Academic Conference, PRA and NAS (Nippon Apitherapy Soc.) Japan, 2006, 2 Bronze medals from The International Innovation Fair of the Middle East, Kuwait, 2007 Awarded of Ghazi Wad Allah Salon Prize, 2008, Finally awarded the Merit Ward in Medical Sciences, National Research Centre, Egypt, 2016 and have 4 patents. Hegazi's research work has been focused lately on bee products and their therapeutic effects. 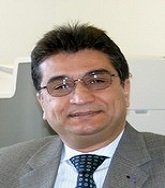 Hegazi organized and contributed to national and international research projects since 1977 and up till now; he has been the principal investigator on multiple research projects within the National Research Center.